Posted on February 8, 2019 at 8:39 am. Household problems like a leaking toilet are very common, and many of us have to deal with such plumbing issues every month. As a homeowner, detecting the cause behind a leak can be challenging. Many times, you repair the leak and find that it leaking again a week later. To better solve the issue at you must first understand the problem. There are some common causes for toilet leaks that may help you determine the root issues with your toilet. Plumbing service in Cleveland, TN, can guide you on what may be the true cause behind your toilet leaking regularly. A faulty water supply line can actually cause the toilet to leak as well. The joints between the supply line and the toilet can wear out or become loose. This will cause the water to seep through the space of the joints. There is usually some rubber lining around the supply line that can prevent the water from leaking through. However, if maintenance isn’t regularly conducted, it may rupture or wear out. This can increase the risk of toilet leaks. You will need help from plumbing service in Cleveland, TN, to replace or repair this rubber lining or simply replace your old supply lines for new ones. The toilet tank may have developed a crack from an accident or bathroom renovation. This will cause the toilet to leak constantly and waste a lot of water. The toilet fill valve has no sensor to detect the leak and will continue to fill the tank despite the crack in the tank. At times, this crack may be very fine and almost invisible. You will need help from professionals that will perform plumbing service in Cleveland, TN, detecting hairline cracks in the toilet tanks. Thisis one of the more serious causes behind toilet leakages and will result in huge amounts of water loss on a regular basis. The flapper, or flush handle, can get stuck in the flushing position. When it is turned down, it will constantly flush the water down the toilet. The fill valve will continue to fill the toilet tank, which means that the toilet will overall. This severe leak needs to be treated at once, andthe flush handle may need to be replaced. Do make sure that the plumbing service in Cleveland, TN, uses high-quality components so that this doesn’t happen again. There are many different toilet connections that can become loose with increased use or time. There are rubber linings over the watertight connections to prevent leaks, but they can also wear away. This will result in leaks springing-up often, and you may find yourself trying to fix leaks way too often. To prevent regular leaks, it is probably a good idea to call for maintenance with plumbing service in Cleveland, TN. They can inspect the rubber linings and change any that may be on the verge of rupturing. Toilets leaks which are caused by warped flappers are pretty difficult to detect. They often result in silent leaks since it can be really difficult for amateurs to detect. With time, the flappers are prone to get worn out due to the mineral buildup that sets on the flapper. This is the leading cause for the flapper to become warped with time. There are different chemicals in the water to purify it, as well as the cleaners often used to clean the toilet tank with. All of these combined can gradually wear down the flapper. The extent to which the flapper has wrapped will determine how much water loss occurs. Before it worsens, you should replace this leak at once. Plumbing service in Cleveland, TN, can help by replacing the flapper and recommending natural cleaners. The fill valve can also experience malfunctions if it wears down with time. Mineral deposits can settle on the fill valve which prevents it from functioning effectively. It may allow too much water into the tank, which in turn causes the toilet to leak or overflow. If there is too much collection of mineral deposits, then the valve may shut off completely even. Every toilet tank has a hollow ball which constantly floats on the surface of the water. When this ball gets dents or becomes cracked, it can cause the fill valve to work constantly. Thiscan cause the toilet to leak or overflow since there is too much water. Every toilet tank is connecting to the bowl using 2-3 bolts and washers. These components can wear down, get damaged, or falter. This can cause the water to leak from the bowl. You may be able to rectify the leak by simply retightening the bolts. 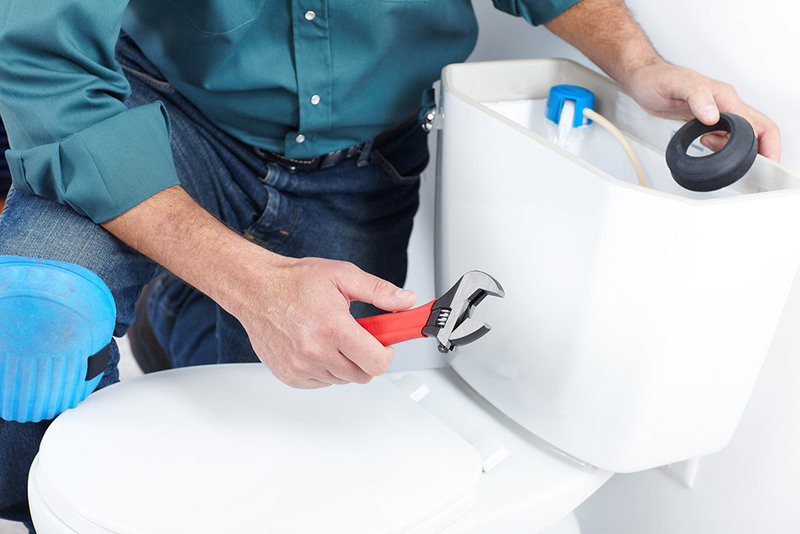 However, if there is a serious issue with the connections between the toilet tank and bowl,then you will need to call plumbing service in Cleveland, TN, to replace or repair it properly. The supply line is also linked to the supply tube and the toilet. This valve may be malfunctioning and develop a leak due to which you experience water waste. The toilet bowl may develop a crack during bathroom renovations or accidents. Thiscan be a huge nuisance since you will have to invest in a replacement for a section of your toilet. In some cases, you may even have to spring for a new toilet. You can get advice on a more efficient toilet by calling a plumbing service in Cleveland, TN. They can also expertly install the toilet. If you continue to neglect the issue,then it will cause your floors and walls to become flooded. This can cause significant damage to the structure of your home and result in mold and fungus. Do make sure that you call professional services for plumbing like Metro Plumbing, Heating and Air. They have trained plumbers that will make sure that regular leaks are eliminated and your toilet is in top condition.